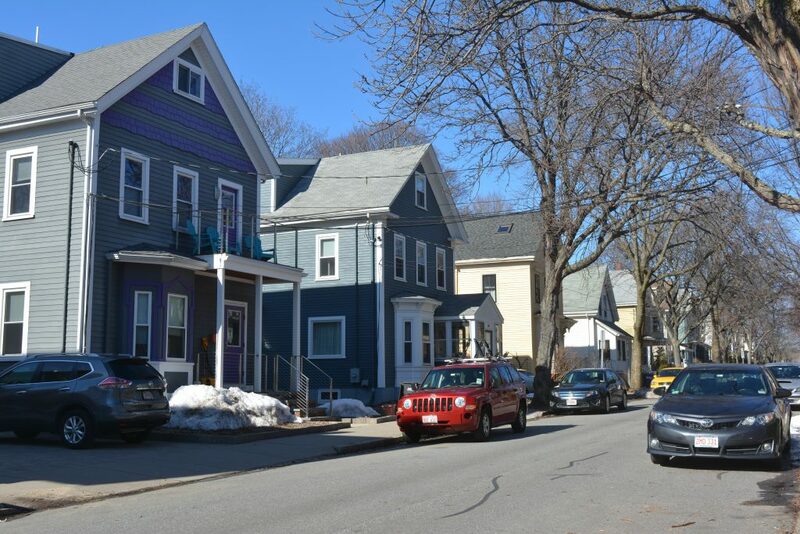 To address rising rents, Somerville aldermen have proposed guaranteeing many tenants citywide an opportunity to purchase their homes if their landlord puts the unit up for sale. This “tenant’s right of first refusal” policy needs approval from the Massachusetts Legislature, and the city could submit a draft to lawmakers on Beacon Hill as soon as next year, according to Somerville Alderman Ben Ewen-Campen. The proposal has been shaped by rapid cost increases in Somerville’s housing market over the past several years. As rents continue to soar, Ewen-Campen explained, longtime city residents risk displacement. The precise wording is still being finalized, but according to Ewen-Campen, it would require landlords to extend the right of first refusal to their tenants when they intend to sell a unit. The tenant could then choose to buy the unit or designate a nonprofit to purchase it at a fair market value, which is determined by an appraisal or third-party offer. Owner-occupied buildings with three or fewer units would likely be exempt, Ewen-Campen added. “It gives tenants an ability, timing-wise, to either put together an offer themselves … [or] partner with nonprofits,” Ewen-Campen said. Currently, the Somerville housing market is characterized by bidding wars and astronomical prices, according to Ellen Shachter, an attorney from Greater Boston Legal Services. She explained that investors frequently purchase homes and then charge the tenants exorbitant rents. She said buyers will sometimes improve their newly-acquired buildings cosmetically and quickly resell them for an even higher price. “[Speculation] significantly increases the purchase price if nonprofits want to purchase or if tenants want to purchase,” Shachter said. Many Somerville residents initially moved to the city as renters and later choose to buy a home, Ewen-Campen noted. With rapidly increasing purchase prices, homeownership within the city is currently inaccessible for most residents, he explained. Scott Hayman, the director of real estate for Somerville Community Corporation (SCC), added that homes in Somerville are often sold so quickly that regular home buyers do not have enough time to find financing. For those reasons, according to Ewen-Campen and Hayman, a right of first refusal would include tenants in the process rather than allowing speculative sales with no tenant input, while still ensuring that homes are sold at the market rate. Homeownership is not the only goal of tenant’s right of first refusal, Shachter noted. Many tenants, she said, could transfer their right of first refusal to a nonprofit, which would then take the unit off the market and maintain it at an affordable rate permanently. This nonprofit housing model is currently practiced by SCC, which owns more than 200 low- and moderate-income units throughout the city. More nonprofit-owned units, according to Shachter, would bolster the city’s affordable housing supply. She says this is critical because the Clarendon Hill public housing redevelopment will put the affordable housing system under extra strain. Also, she noted that relatively few units in Somerville are affordable with federal Section 8 housing vouchers because of high rents. “There are housing discrimination laws [protecting Section 8 voucher holders], but it’s not considered discrimination if you want to charge a rent that’s not affordable,” Shachter said. According to Hayman, many of the units that SCC has purchased in its ongoing 100 Homes program have allowed existing tenants to stay housed, preventing the displacement that usually follows a sale. With a right of first refusal, he explained, SCC would have an easier time making competitive offers for units because the time frame for sales would be longer. Likewise, J. David Gibbs, the executive director of Community Action Agency of Somerville, looks to SCC as a model for nonprofit-owned housing, particularly with its 100 Homes program. He believes that right of first refusal would allow the city to expand these efforts and have a sizable impact on nonprofits’ ability to buy. Of course, nonprofits’ budgets will limit their housing purchases, Shachter added. She mentioned that a proposed fee on real estate transfers could provide the necessary funding to expand purchasing. Many area landlords, however, are skeptical that a right of first refusal will actually protect tenants, according to MassLandlords Executive Director Doug Quattrochi. He says many renters are unable to purchase or maintain a property, yet nonprofits cannot guarantee that they will continue housing renters. Further, Quattrochi argued that the nonprofit model leaves open the possibility of abuse because nonprofits are more difficult to govern than for-profit landlords in some respects, and he pointed out that some non-profits do not return property taxes to the city. In response, Hayman said that SCC pays full property taxes on its properties, and the organization is monitored and audited regularly to ensure transparency and compliance. Meanwhile, Quattrochi says, landlords will lose flexibility to sell property on their own terms, and a mandatory waiting period could cause resale values to plummet while nonprofits or tenants decide whether to purchase. Instead, Quattrochi suggested zoning reform and production of additional housing to bring housing costs into line. “The right of first refusal is flawed, partisan policy, and it won’t protect renters the way advocates hope,” Quattrochi said. Beyond affordability, Alderman JT Scott said he hopes a right of first refusal will offer the prospect of homeownership to more residents. He emphasized that the proposal’s success will be dependent on the strength of its final draft and the level of public support. Similarly, Alderman Will Mbah argued that the right of first refusal would add affordable units to the city while simultaneously offering relief specifically to tenants who might have been displaced otherwise. UPDATE: This article has been updated to include additional comment from Scott Hayman.